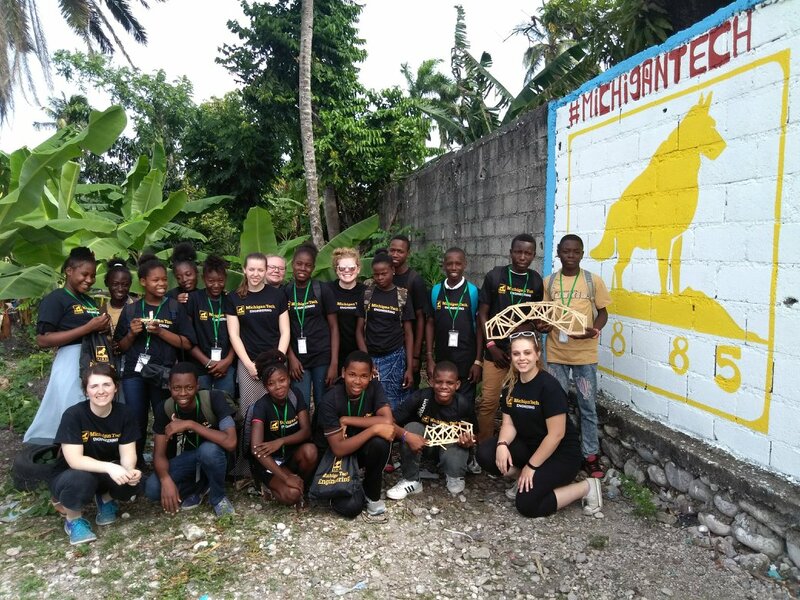 Five engineering students from Michigan Tech’s chapter of Engineering World Health visited Les Cayes, Haiti in May 2018. Making the trip were electrical engineering student Megan Byrne, biomedical engineering students Gina Anderla and Kiaya Caspers, mechanical engineering student Brooke Breen, and materials science and engineering student Anna Isaacson. 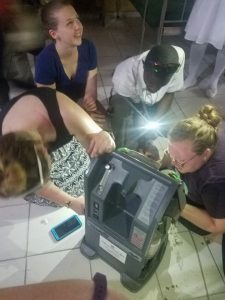 Early last summer, five undergraduate engineering students from the Michigan Tech chapter of Engineering World Health took a trip to Les Cayes, Haiti. They were led by Megan Byrne, an electrical engineering undergraduate who organized the trip. They describe the experience as nothing short of life-changing. Engineering World Health inspires, educates and empowers young engineers, scientists and medical professionals to use their engineering skills to improve global health in the developing world. The Michigan Tech chapter of EWH is now in its second year. Along with Byrne on the trip were biomedical engineering students Gina Anderla and Kiaya Caspers, mechanical engineering students Lidia Johnson and Brooke Breen, and materials science and engineering student Anna Isaacson. To get to Haiti, the Michigan Tech engineering students bagged groceries, plus each spent $1,500 of their own to cover travel costs. 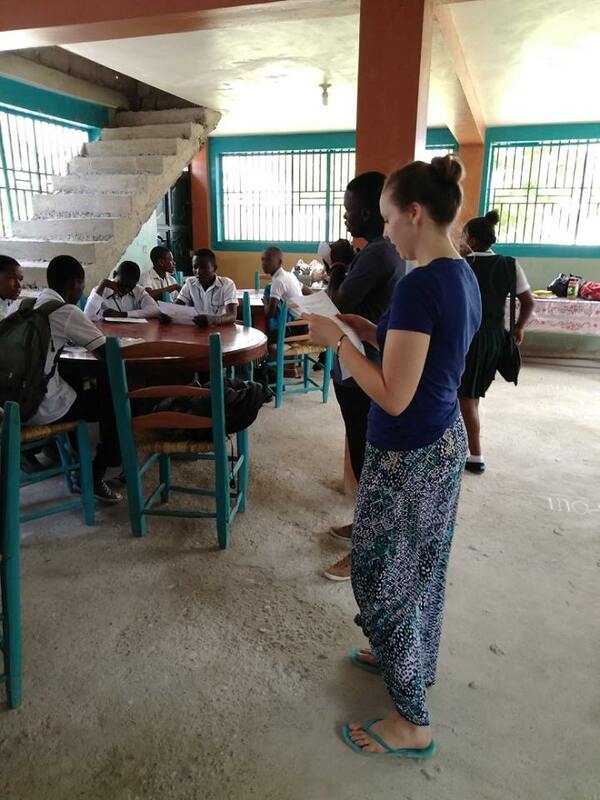 A non-profit organization operating in Haiti, HUT Outreach, provided lodging for the Michigan Tech team during their stay, and invited them to help teach STEM subjects to a class of 7th graders in the new HUT Outreach secondary school. Students in Haiti often drop out of school in the sixth grade, with a diminishing retention rate thereafter. HUT Outreach is trying to break that statistic. During their visit to Les Cayes, the Michigan Tech team tried to change how the high school students viewed education and experienced learning. “Our EWH team wanted the students to learn the theory of series and parallel circuits, forces to build bridges, first aid, and how to build water filters,” says Byrne. “This was a challenge, because the students had not been exposed to any of these topics or hands-on learning, and they also spoke a different language.” Byrne is a peer mentor in the Learning with Academic Partners (LEAP) program for first-year engineering students in the Department of Engineering Fundamentals at Michigan Tech, which also provided support for the Haiti trip. Byrne was able put her LEAP experience to good use in Haiti. Using creativity, resourcefulness and critical thinking, EWH students from Michigan Tech repaired a broken oxygen concentrator, one of only two in the public hospital pediatric ward in Les Cayes, Haiti. The Michigan Tech team also visited a local hospital, where they fixed a broken oxygen concentrator, one of only two in the hospital pediatric ward. They also discovered a potential fire hazard at the hospital—auto headlight bulbs used as replacement bulbs on medical lamps. And they noticed a lack of surge protectors to protect medical equipment during power outages. The EWH team wants to return to Haiti this year to continue to help prepare the next generation of Haitian students, and provide support to the small community where we served. They also want to provide the woman’s center in Les Cayes with its first portable ultrasound machine. The Michigan Tech College of Engineering is offering study abroad scholarships in the amount of $2,000 to students who are from the College of Engineering. To be eligible for the scholarship, you must be participating in a Michigan Tech approved study abroad program, a student from College of Engineering, and have a cumulative GPA of 3.0 or higher. There will be expectation that scholarship recipients will help promote Michigan Tech study abroad programs after completion of their study abroad program. Learn more about this scholarship opportunity. Apply by November 15 for Spring 2019 consideration. Next week more than 1,200 first-year students at Michigan Tech will hear from MacArthur Fellow Brian Tucker, founder and president of Geohazards International. Brian Tucker, founder global non-profit Geohazards International, takes on disasters before they happen. Tucker will present “Lessons Learned in Reducing Natural Disaster Risk in Poor Countries,” this Thursday, September 13 at 6 p.m. in the Rosza Center at Michigan Technological University. Tucker is a seismologist and MacArthur Fellow whose work focuses on preventing readily avoidable disasters in the world’s poorest countries by using affordable civil engineering practices. He founded GeoHazards International (GHI) in 1991 after recognizing that multi-story residences, schools, hospitals, stores, and offices built from adobe, stone, or unreinforced masonry in many regions of the world are death traps when earthquakes strike. A consulting professor in the Department of Civil Engineering at Stanford University, Tucker is also a member of the editorial board of the Journal of Earthquake Engineering as well as the board of the World Seismic Safety Initiative. He is a Fellow of the California Academy of Sciences. In 2001 he was awarded the Gorakha Dakshin Bahu Award for service to the people of Nepal by the King of Nepal. He was named a MacArthur Fellow by the John D. and Catherine T. MacArthur Foundation in 2002. He received the George E. Brown, Jr. Award, from the U.S. 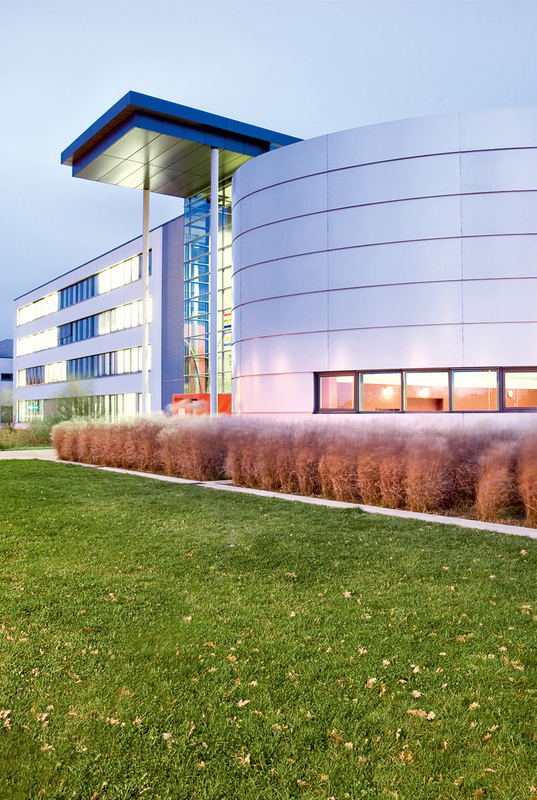 Civilian Research and Development Foundation for International Science and Technology Cooperation, in 2007. Most recently, Tucker was given the Blaisdell Distinguished Alumni Award from Pomona College in 2017 and was named among the 100 Distinguished Alumni of University of California, San Diego. He has also won two “Hammers” from the 2016 and 2017 C.R.A.S.H-B’s World Indoor Rowing Competition. Tucker received a BA from Pomona College, a PhD from the Scripps Institution of Oceanography at the University of California, San Diego, and an MA in Public Policy from Harvard University. Tucker served as Principal and Supervising Geologist at the California Division of Mines and Geology from 1982–1991. He founded Geohazards International in 1991. Michigan Tech’s First-Year Engineering Lecture is a longtime annual tradition for freshmen in the College of Engineering, and now students from the School of Technology, and Department of Computer Science are joining the event. Please note: space at the venue is at capacity, so the event is not open to the public this year. Zoe Ketola, Systems Engineering undergraduate, studied renewable energy in Iceland this summer. Zoé Ketola enrolled in the The Green Program, which offers short-term, experiential education about the world’s most pressing issues in sustainable development. 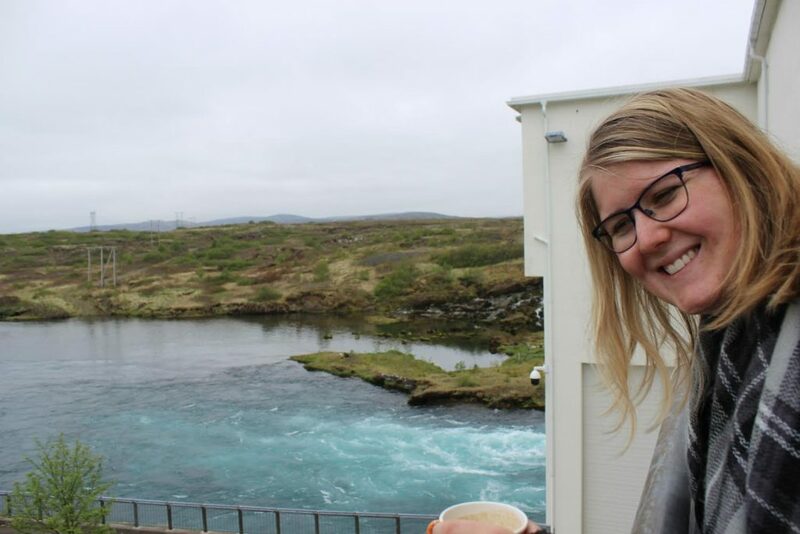 Ketola took classes through Reykjavik University School of Energy, and also traveled extensively around Iceland. In Ketola’s group there were about 20 others students, coming from Penn State, University of Michigan, Colorado State, and some Canadian universities, to name a few. Here at Michigan Tech, Ketola is turning her innovative ideas into a reality with a BSE degree in systems engineering—an engineering degree she can customize to fit her interests. She wants to work on improving and overhauling the US electrical grid—facilitating the transition from traditional to clean energy sources. Why did you decide to go to Iceland for your study abroad? Iceland is what fell into my lap. It is considered the world’s renewable energy capital and renewable and clean energy are my passion. I never set out looking to go to Iceland (or anywhere, really) but when the department chair of Engineering Fundamentals, Professor Jon Sticklen, told me about the opportunity I couldn’t think of a better place to learn about what I love. Plus, have you seen pictures of the place? It’s a dream if you like the outdoors. What was your main project while you were there? I worked on a project that detailed providing personal solar arrays to impoverished communities within the United States. My group focused on communities in West Virginia and we looked into providing the equipment, doing install, how we would run our company, etc. 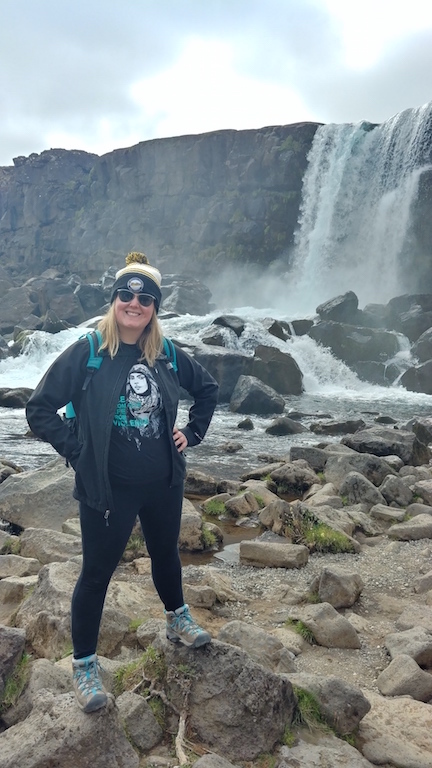 We did this outside of taking courses on hydropower, geothermal, biofuels, and icelandic culture/history.What did you learn about culture and society in Iceland? The Icelandic people are very hearty. They are independent and they kind of do their own thing. The most interesting things to me included how independent the children are and just how important keeping their public places clean is. You don’t wear your shoes in homes or the public pools. The pools also have a monitor who makes sure you shower before swimming. How has studying abroad impacted or changed your outlook? Well, I’m itching to go back to Iceland and have been since I landed back stateside. I’m now looking more seriously at pursuing a masters dealing with energy, maybe even in Iceland. Iceland reignited my passion to help the planet and to focus on improving the renewable/clean energy sector. I hiked a little over 10 miles at Fimmvörðuháls in the Icelandic highlands. When we got to the top of our hike, I couldn’t believe I was there. I was standing in between two glaciers with 20 fantastic people from all over the world and it was so surreal. The world is so big yet we all ended up there together. Outside of working and studying, what was everyday life like? What did you do for fun? Mostly spent time outside. I hiked everywhere it feels like, including near the southern coast and in the highlands (where I also camped). We visited hot springs, public pools, mountains, glaciers, and a local hostel where we got to meet a band we had started listening to that morning on the bus. We also visited Iceland’s largest geothermal plant and two hydropower plants, one of which was built in the 1960s. I want to work on improving and overhauling the US electrical grid and facilitating the transition from traditional energy sources to clean energy sources. I don’t know what that means yet because it doesn’t look like anyone is doing exactly what I feel like needs to happen but I’ll figure it out along the way. If I quit every time I wasn’t sure of how to move forward I would never get anything done. 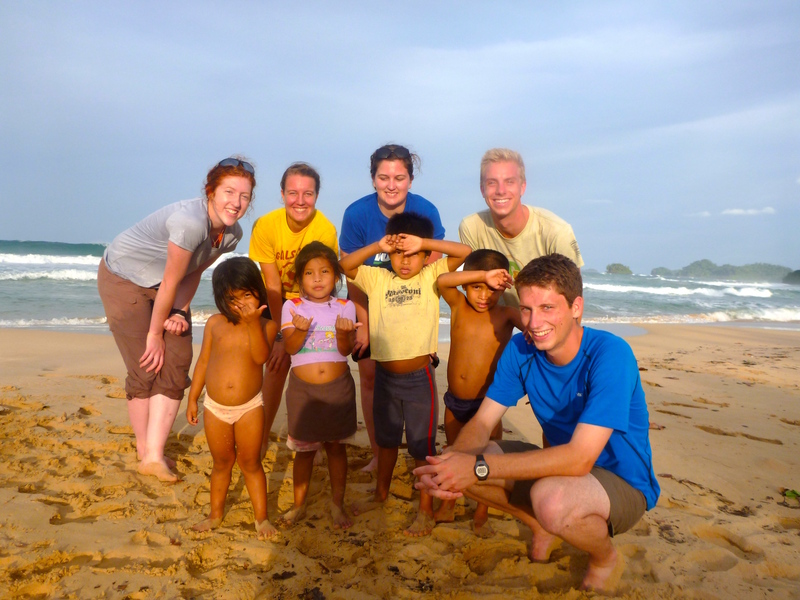 In 2014, an I-Design team from Michigan Tech advised by Civil and Environmental Distinguished Professor David Watkins traveled off the grid to rural Panama to partner with the Ngöbe, a group of indigenous people in Nidori, in the province of Bocas del Toro. 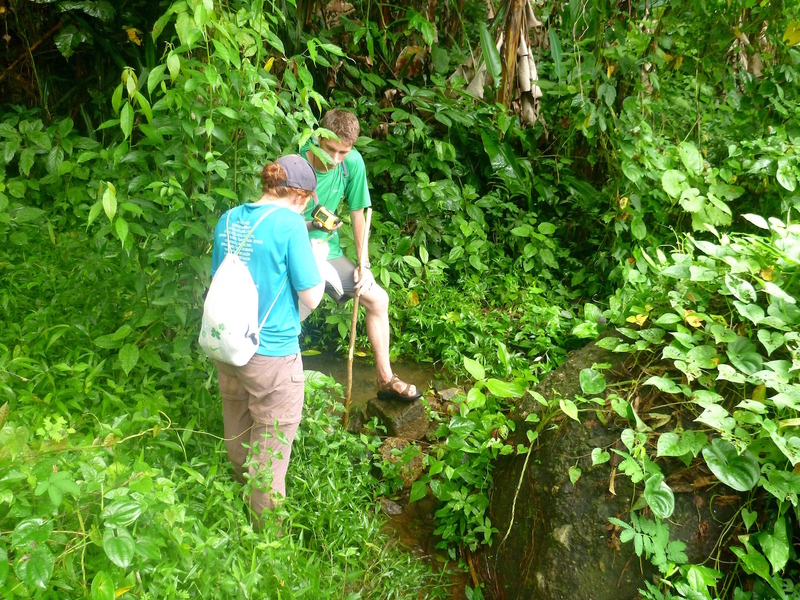 The team assessed the needs of the community, gathered data on existing water sources, and completed a survey for a new water distribution system. Below is the story of their experience. But first, what are these Michigan Tech alumni doing now? Kellie Heiden earned her BS in Environmental Engineering at Michigan Tech in 2015. She is now a Project Engineer at August Mack Environmental, Inc.
Tia Scarpelli earned a BS in 2015 and MS in 2016, both in Environmental Engineering. She is now a graduate student at Harvard University. Adam Tuff earned a BS in Civil Engineering in 2014. He is now a Construction Inspector at HDR in Bellevue, Washington. Madie Martin earned a BS in Civil Engineering in 2015. She is now a Engineer II at Kiewit in Houston, Texas. Logan Anderson earned a BS in Civil Engineering in 2015. He is a world traveler and teacher at VIPKid and Rustic Pathways. The rural area is part of the Ngöbe-Buglé Comarca, one of the areas set aside by the government for the various indigenous groups of Panama. The Ngöbe people rely on water transportation throughout the community, often by canoe, due to the location of the homes and schools, as well as the rough surrounding terrain. “It was difficult to figure out how we could design a simple system that would last,” adds Tuff. “It is not the same as designing a system in America where the people and parts needed to fix problems are readily available.” The team worked closely with the community members to figure out what they would be able to maintain. Back on campus, they produced a report in both English and Spanish detailing the design process, technical design components, construction, maintenance, feasibility, recommendations, and impact their project will have on the community. 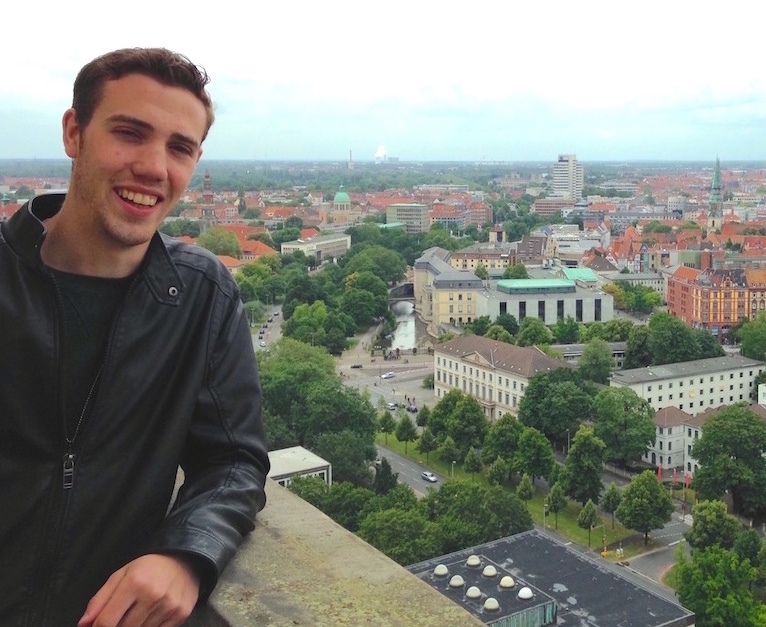 Michigan Tech MSE student Jacob Braykovich studied abroad at Leibniz University Institute of Materials Science. Jacob Braykovich, a materials science and engineering major at Michigan Technological University, had spent two years working in the Michigan Tech Surface Innovations lab, helping to develop biodegradable zinc-based cardiac stents. He had a summer internship at start-up InPore Technologies, working on polymeric water filtration systems. But he wanted to do something different during the last summer before earning his undergraduate degree. Braykovich thought about going overseas, and began looking into options. That’s when he discovered the RISE program, or Research Internships in Science and Engineering. 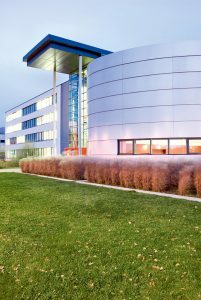 The RISE program is for students in the USA, Canada, or UK who want to spend a summer researching science or engineering at German universities. Braykovich applied for and won a scholarship to attend Leibniz University in Hannover, Germany. Braykovich joined a team of researchers at Leibniz University Institute of Materials Science working on myocardial graft materials. Myocardial grafts, both biological and synthetic, are used to help restore damaged myocardium, or heart muscle. Whether from heart attack or disease, damage to the myocardium can result in scar tissue, which can diminish the heart’s ability to contract and pump blood effectively. “The Liebniz team, led by Hans Jürgen Maier, has developed a biodegradable magnesium alloy scaffold designed to mechanically support a myocardial graft and then gradually lose its function as the graft develops its own strength,” Braykovich explains. “The work was similar to my research here at Michigan Tech, so I was able to hit the ground running,” he says. 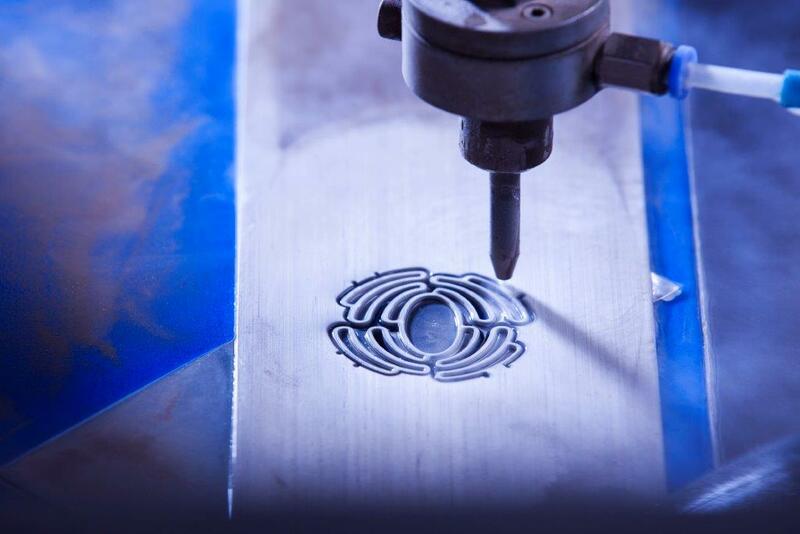 Braykovich worked on perfecting the abrasive water injection jet cutting strategy employed to produce the scaffolds—analyzing design, cutting-edge roughness, and burr generation. “I ultimately determined the optimum pressure, flow rate, abrasive size and material, traverse rate, and orifice diameter of the cutting technique,” he says. He started each day with coffee and a pastry from a local bakery and headed to work on the train. His tasks at work ranged from cutting samples in the manufacturing facility to using the 3D laser microscope to take images of the cuts, which he then analyzed. 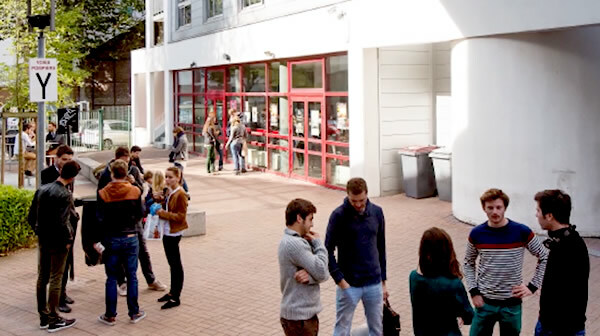 “Through the experience, I found the hierarchy of the education/research system at Liebniz to be much different than what I have known, and with that the expectations were much different. But through making mistakes, I gradually began to understand and appreciate the diverse culture,” he says. Outside the lab each weekend Braykovich traveled solo to a new city or country. Berlin, a short 90-minute train ride from Hannover, was his favorite city. “There are people living in Berlin from almost every country you can possibly imagine, making the cultural dynamic something unlike I have ever experienced,” he says. Jacob Braykovich earned a BS in Materials Science and Engineering at Michigan Tech in 2015. He is now a PD Quality Engineer at Ford Motor Company in Dearborn, Michigan, where he is responsible for delivering quality of all interior functions for future Ford F-150 trucks. 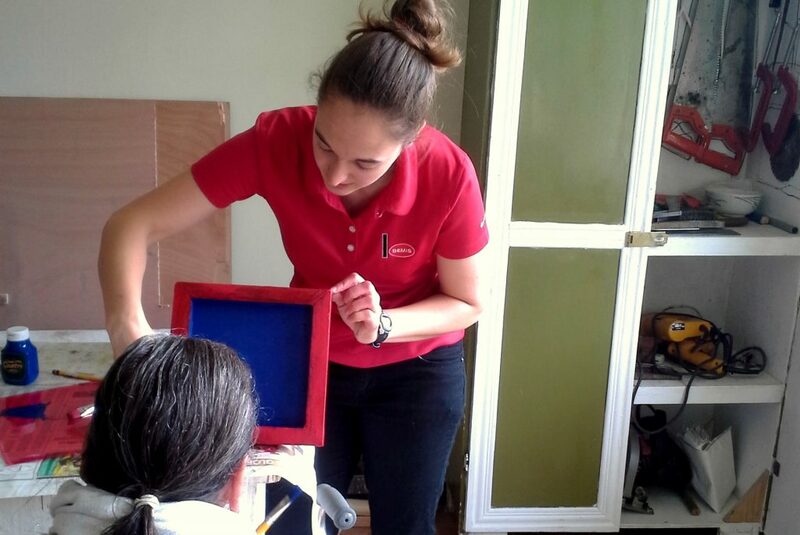 Michigan Tech mechanical engineering student Alexandra Tateosian volunteers in Cartago, Costa Rica through UBELONG, an international non-profit organization. As a mechanical engineering senior at Michigan Tech, Alexandra Tateosian left campus for Cartago, Costa Rica thinking she would be assisting with the construction planning of a center for disadvantaged youth as a volunteer for the non-profit organization UBELONG. Tateosian wanted to spend time abroad before beginning a full-time job at 3M. After tutoring many international friends in English while studying in Australia, she began considering living abroad to teach English or for other volunteering opportunities. Her experiences as an intern for two international companies, Bemis Company and 3M, also sparked her interest in working abroad at a future point in her career. The day she arrived in Cartago she learned that instead she would be working at a care center for the elderly. “The drastic change in projects was a good lesson in the nature of volunteerism as well as the importance of flexibility and adapting to local needs,” says Tateosian. 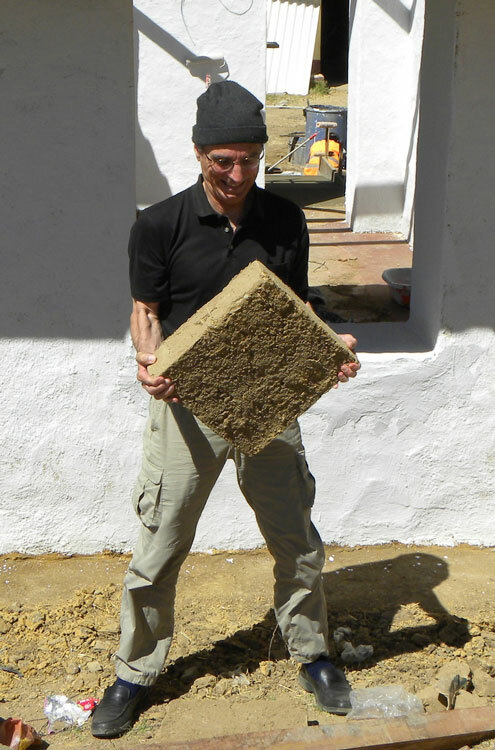 While the center is very familiar with having volunteers come to assist staff, Tateosian was the first international volunteer to come with the objective of working on a specific project. “The first step was to identify areas of need,” she says. “We decided to focus on the Taller de Carpinteria (the woodshop).” One portion of her volunteer work she helped assess safety recommendations for the tools and equipment. She also designed woodworking projects to get more of the seniors involved, including building and painting puzzles that are used in other areas of the center as mind exercises. “One goal was for me to train some of the seniors to be leaders for future projects after I left.” Tateosian worked closely with the staff to coordinate all the details. “It was certainly an amplified lesson in the importance of communication due to the language barriers,” she says. “Exposing myself to different places and cultures became an important part of my life. I learned about human nature and how people interact similarly and differently and reasons for the differences,” adds Tateosian. 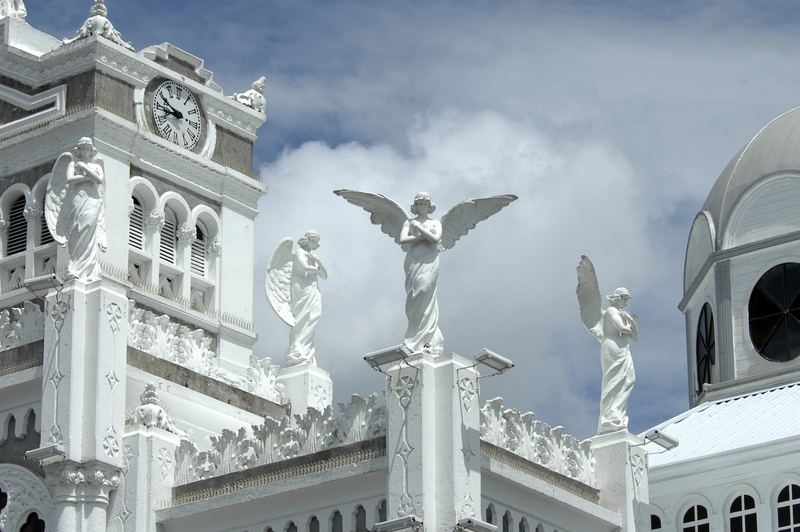 Cartago is about a one-hour bus ride from San José, the capital city of Costa Rica, with many restaurants, museums, and other sites. Tateosian climbed to the top of Volcán Poás. She ate dinner each night with her host family and took a rock climbing and mountain biking trip nearby. On a visit to nearby Nicaragua to explore Ometepe Island she happened to meet a fellow Tech student in the Peace Corps Master’s International Program. Alexandra Tateosian earned a BS in Mechanical Engineering at Michigan Tech in 2014. She is now an Advanced Project Engineer at 3M. 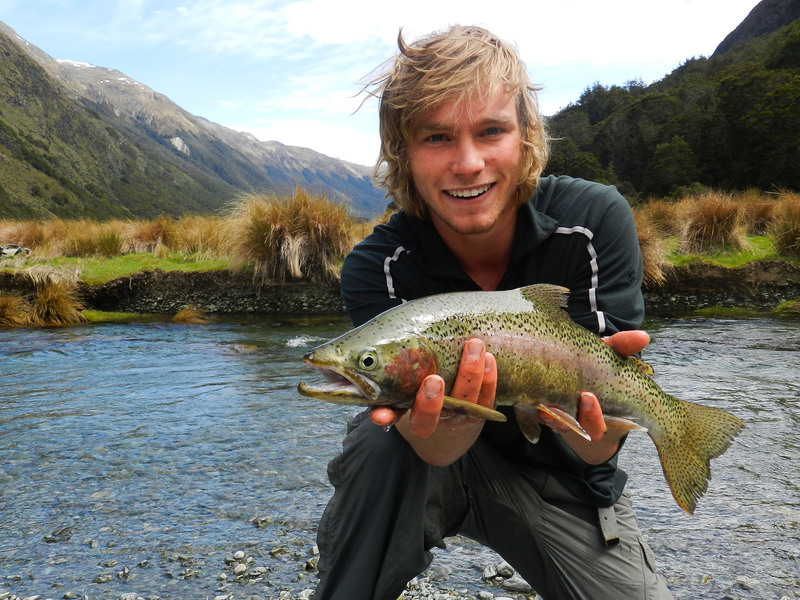 The natural beauty and easy access to both snowboarding and surfing first attracted Mitch Kirby to New Zealand—that, and the legendary fly fishing. 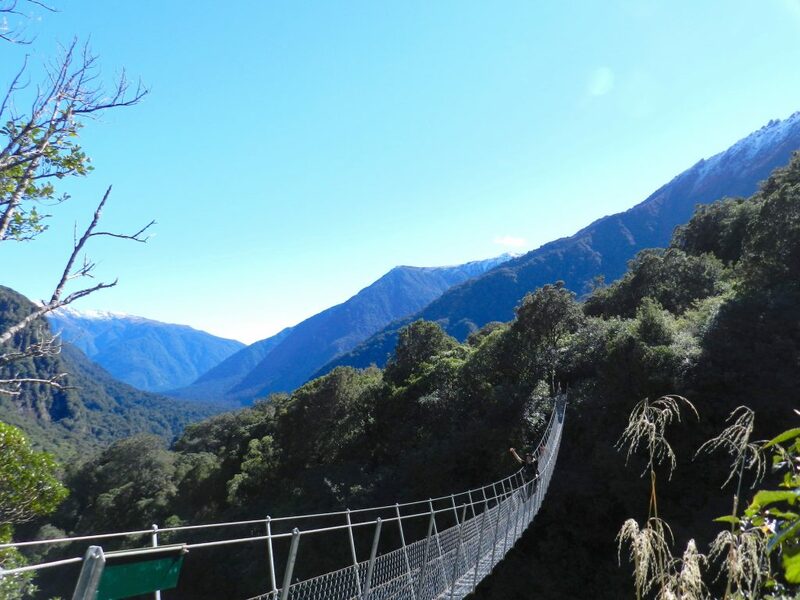 Kirkby was a sophomore majoring in biomedical engineering at Michigan Technological University when he received a Whitaker International Student Fellowship at the University of Otago in Dunedin, New Zealand. Kirby’s everyday life in Dunedin involved getting up very early, completing schoolwork and attending classes. After spending a few hours in the lab, he would finish up for the day around 3 pm. If the waves were good, he would surf. If not, he would explore the countryside. During the weekends, he traveled with a small group of friends to different locations throughout New Zealand. Trips usually involved snowboarding, backpacking, and just general adventuring. Once back in Michigan Tech, Kirby returned to the optics lab at Michigan Tech to investigate Optical Coherence Tomography as an undergraduate researcher. Mitch Kirby earned a BS in Biomedical Engineering from Michigan Tech in 2016. The same year he received a National Science Foundation Graduate Research Fellowship and is now a doctoral student in Bioengineering and Biomedical Engineering at the University of Washington in Seattle.